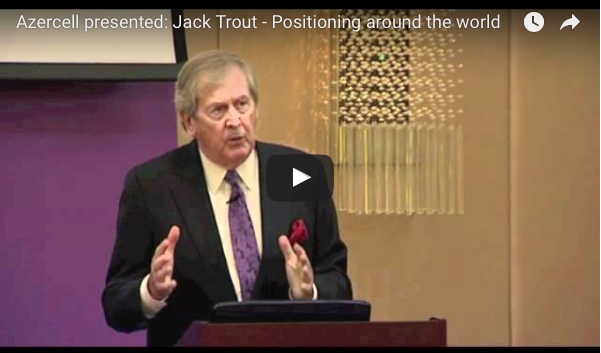 Jack Trout co-authored the original book on Positioning in 1980 with Al Ries. Here is a lecture he gave in 2012 to a marketing conference in Azerbaijan – 2 hours including Q&A, and fascinating throughout. Whether or not you’ve read the book, this is a very clear outline of the theory and full of up-to-date examples. Highly recommended.